Police have named the two men they believe murdered a young Cape Breton woman last year, even though the suspects have not been charged. In court documents filed in December, police identify 37-year-old Thomas Barrett and 21-year-old Morgan James MacNeil as the main suspects in the Laura Jessome case. Jessome’s remains were found in a hockey bag, floating on the Mira River near Marion Bridge on May 25, 2012. Police have never released how she died. Barrett and MacNeil, both of Glace Bay, are currently in custody at the Cape Breton Correctional Facility on other violent, but unrelated, charges. Barrett is accused of the attempted murder of another woman, while MacNeil was charged with robbing a Sydney bank and a jewelry story in May. Last month, police charged two other Glace Bay men in connection with Jessome’s murder. Robert Edwin Matheson, 49, and Brian Augustine Deruelle, 37, are charged with accessory after the fact in connection with her death. The pair is identified in court papers prepared by police. There are claims contained within the same document that Barrett and MacNeil murdered Jessome. The lawyer representing Barrett on unrelated charges says he was surprised to see his client named as one of Jessome’s killers, as he hasn’t been charged in the case. The fact that Jessome’s suspected killers have been named in court documents and are already in custody may be an indication that the investigation is nearing a conclusion and that murder charges could soon be laid. Today would have marked Jessome’s 22nd birthday. 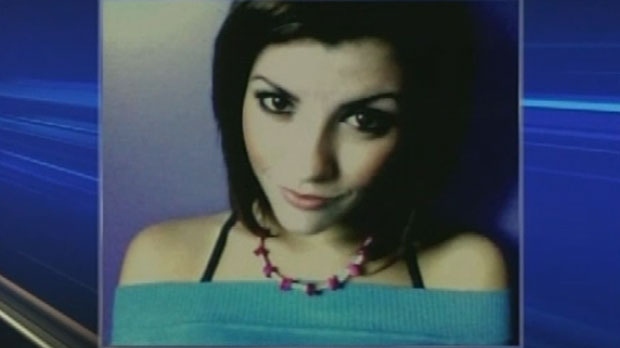 Laura Jessome's remains were found in a hockey bag, floating on the Mira River near Marion Bridge on May 25, 2012.